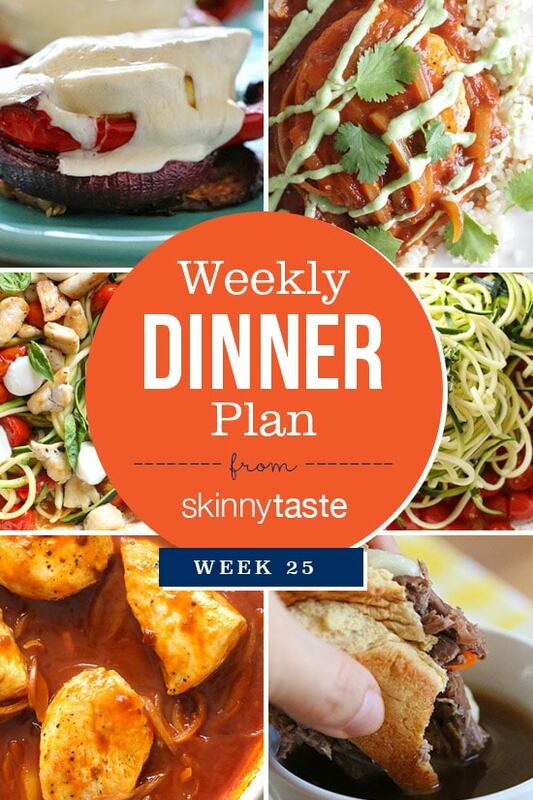 Week 25 of sharing my weekly dinner plans. This week I have a short trip on Thursday for work, so I have my Tommy’s favorite slow cooker recipe planned for two nights while I’m away. The rest of the week I have some quick dishes planned. Pictured above is The Skinnytaste Meal Planner where I plan my dinners for the week (you can of course use any meal planner). 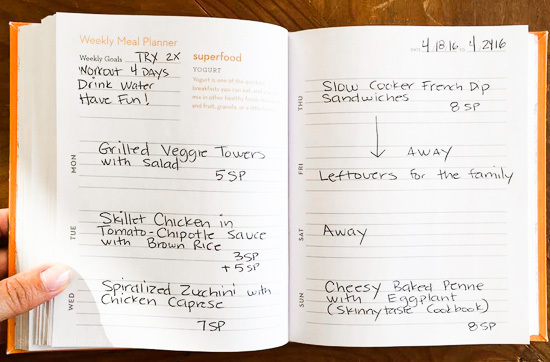 Meal planning is a great way to get organized before heading to the supermarket to get ready for the week! My breakfast is usually something quick like eggs with fruit, a smoothie or avocado toast. We’re a family of four, so if a recipe serves more, it’s either packed up for everyone’s lunch or eaten the next day as leftovers. If you would like to see some of the previous week’s dinner plans, click here. Thank you! Yes, I actually made one today that I will be sharing soon.